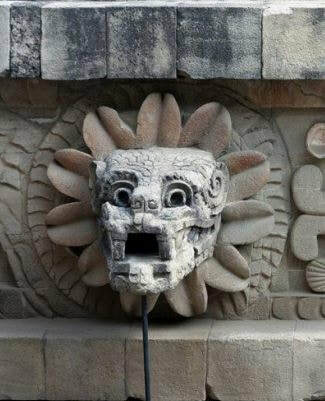 ​Though many aspects of the temple are unknown due to little amounts of text among the ancient cultures, including the name itself, there is no doubt a strong theme relating back to the deity or possible ancient mystical creature in this temple, covered in depictions of the feathered serpent. The feathered serpent is meant to represent many different concepts, starting with the combination of a creature close to the ground with wings as a metaphor for duality and good fortune. Many also interpret this as having a halo or sun surrounding the head behind the feathers, which adds on to the good fortune, specifically in the coming harvest. 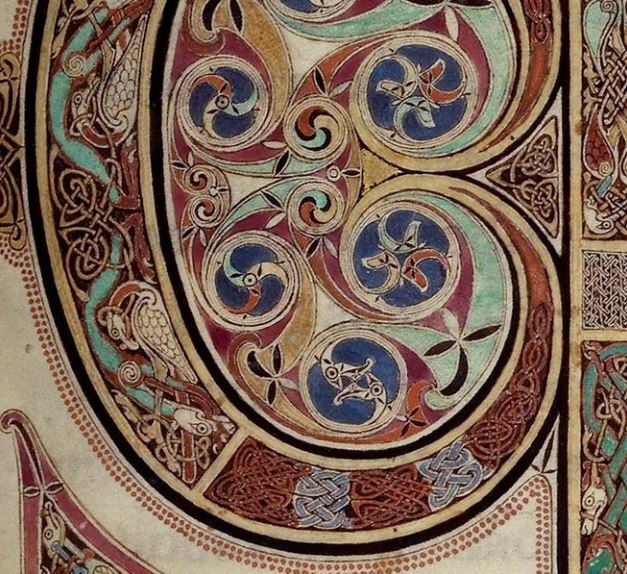 The looping snake designs found on this cover page of the Lindisfarne gospels are used for aesthetically enhancing the insides of this copy of the chapters of Matthew. Mark, Luke, and John. They were commissioned by a bishop of Lindisfarne to honor God and Saint Cuthbert. The whole page is filled with spindling snakelike designs intricately twisting into other animals, however keeping the theme of the spiraling serpents. Despite being an illustration for a religious purpose, the snakes do not seem to be representing any sort of satanic message, and are purely aesthetic. The time period this manuscript comes from was filled with chaos and ruling change, however produced many great artworks and designs. 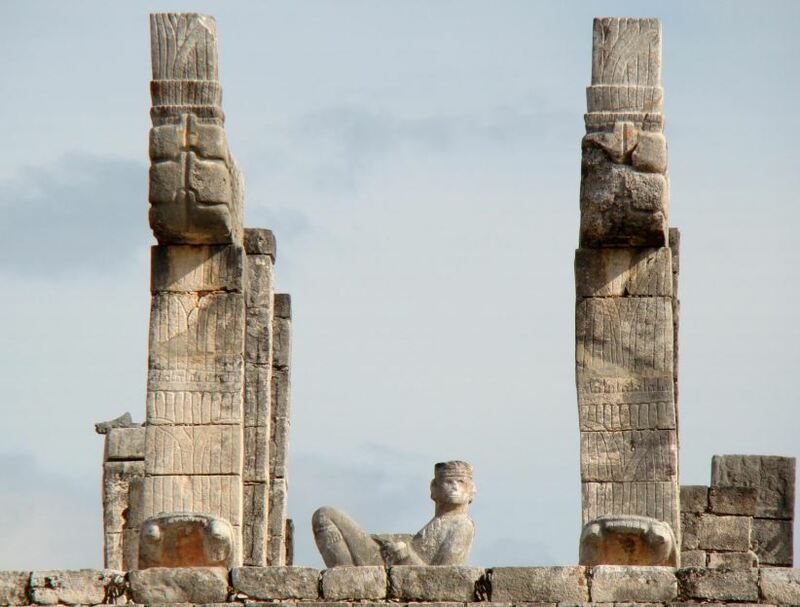 The columns separated from the rest sitting symmetrically apart enclosing a Chac Mool are there to represent Kukulcán, another serpent deity known among ancient Central America. With its bared fangs and tall presence, it makes sense to have these creatures next to the stone table used for public sacrifices. The message conveyed fits well with the context clearly displayed by the Chac Mool. ​ story by the Hindu people of the origin of the Ganges River. In an artistic creative choice, the role the serpent-men serve as a representation of prosperity and fertility. In relation to the story, this relief uses an interesting depiction of Shiva, the god who the story is based around. Instead of carving any likeness into this, the temple would likely have creatively had running water, which represented the god. The separate canal they seem to be resting in is the Ganges River itself. Due to the all the figures depicted facing the snake deities and the size difference between these two figures and the others, the ​focal point is very clearly the Nagas. ​ Seeing as it is one of the most early examples of art in Northern America, there is much mystery shrouding this effigy. 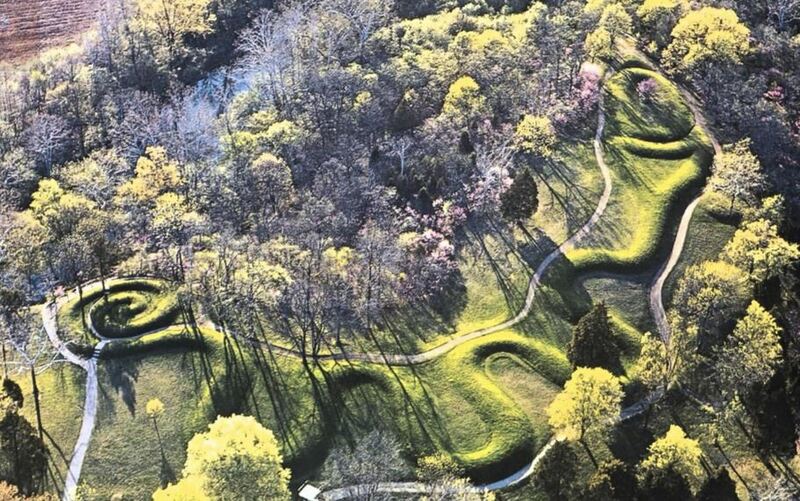 The serpent mound was created by the Fort Ancient culture, one of America's earliest known native cultures.Though the exact reason for this effigy is unknown, surrounding features such as nearby burial sites and the winding river juxtaposed behind the mound are possible relating attributes that add meaning behind this mound.